Kia Ora is a family business, which specializes in providing recreational and educational entertainment content to families with young children. The venue offers a number of activities for kids, including go-kart, diggers, crazy football, etc. 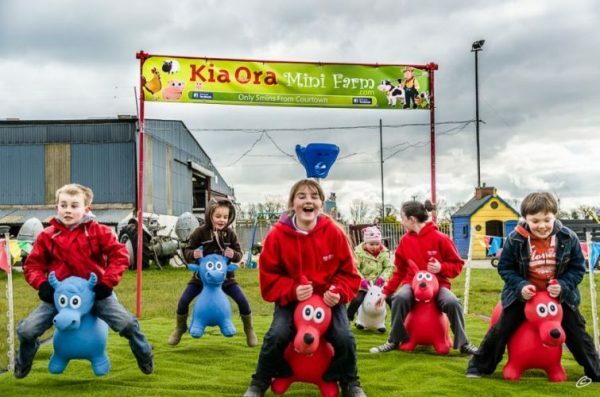 The main attraction of Kia Ora are their animals – visitors have access to learn about and pet farm animals, such as goats, lamas, chickens, horses, donkeys, and many birds. Kia Ora wanted to expand its reach in terms of geography and customer segments. In order to do that, it was necessary to conduct an industry analysis, study the best practice and identify the communication channels, which could be used in order to reach new customers. Kia Ora needed assistance from RIKON in order to execute these objectives, as they lacked resources and expertise to do that themselves. RIKON conducted a systematic analysis of the business’ continuous improvement components in order to establish the main areas of opportunity around the product offering, customer reach, customer touch points, and customer relationships. Together with Kia Ora, RIKON also established an understanding of the current and future industry needs in order to identify the strategic direction for the future. In order to help Kia Ora achieve its objectives of expanding its reach and better differentiate themselves from the competition, it was necessary to add structure to Kia Ora’s marketing activities. RIKON presented Kia Ora with several tools, which allowed the company to streamline its marketing strategy and better utilize online and offline channels, which would enable Kia Ora to communicate to their target customer segments more efficiently and effectively. Kia Ora also received a report on the industry landscape, which allowed them to adjust their value propositions to better differentiate themselves from their competition in the existing and new markets they wanted to enter. Benefits for Kia Ora Mini Farm Ltd.
RIKON assisted Kia Ora in providing blended understanding of the current and potential industry needs in order to assess segments, channel dynamics and anticipated customer behavioural trends. RIKON engaged all areas of the organisation in the channel introduction effort which allowed the entire business system to realign around the new channels and better communicate the company’s value proposition to the target markets. Development of a coherent marketing structure in an effort to allow Kia Ora to engage with new and existing customer segments in a more effective manner with a goal of improving brand recognition and increasing market share. Evelyn O’Donohoe, Managing Director of Kia Ora Mini Farm Ltd.